Many people ask me about my career in diving. I have always loved the water, loved meeting new people and have always been adventurous and outgoing. 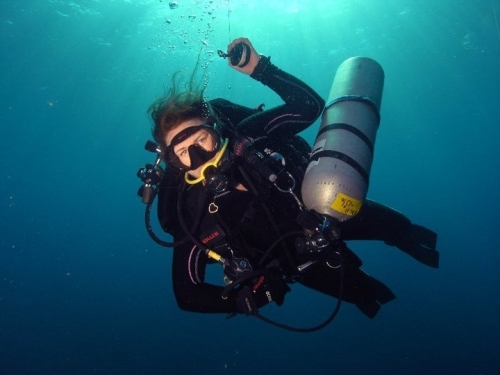 I had asthma as a kid so it was head for me to get a medical to learn to dive. Eventually a doctor finally did some tests and agreed I had grown out of the asthma and was signed off with a medical to lean to dive. This was at 15 years old. I was so excited to be able to go diving with my dad, nearly as excited as my dad was to have his daughter hang out with him…. 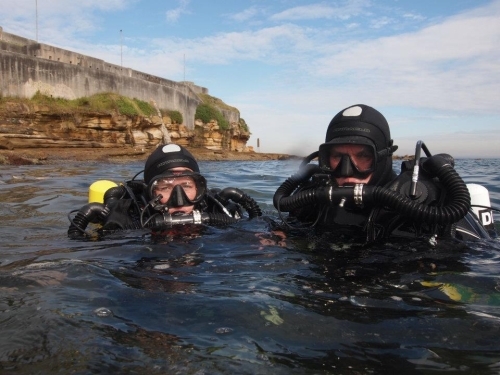 So I did an open water course with Craig Baxrter at Cronulla dive centre and fell in love with it. 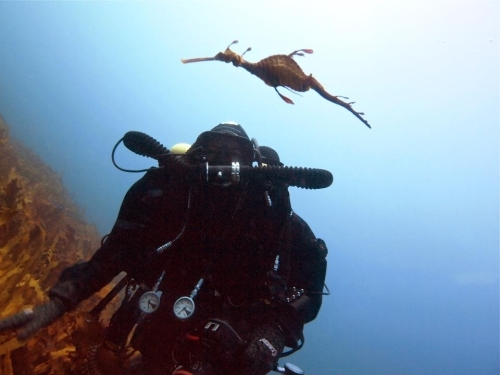 I started diving with my dad and looked forward to the weekends adventures. Then I turned 18, I was no longer in a fit state to be diving on the weekends and do not get much done over the next few years. About 13 year ago my dad said he was keen for a career change and was going to start up a dive shop. I Jumped at the chance to take on the challenge and join him in this venture. This is when Abyss Scuba Diving started. At this point I was a rescue diver so I went on to do my dive mastersand PADI instructor course. 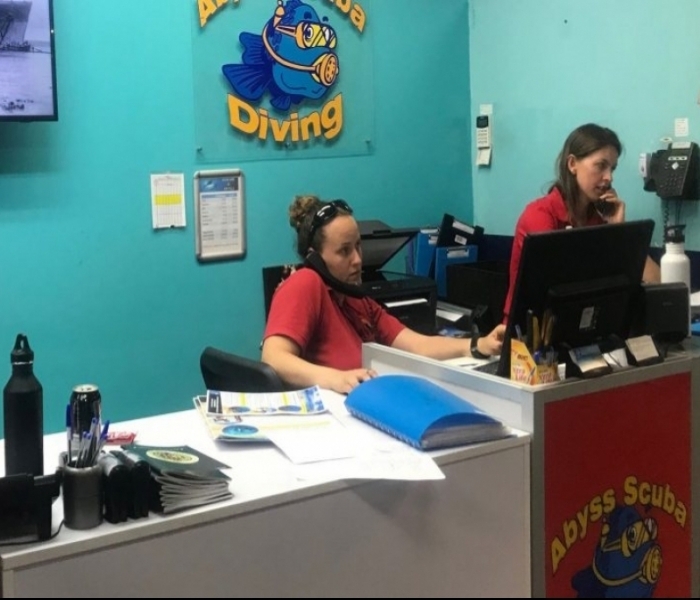 Over the next few year there was just 3 staff at abyss so I was doing a lot of teaching basically doing 2 course a week. It was great, the ocean was my office. I was always meeting great people and loved teaching. 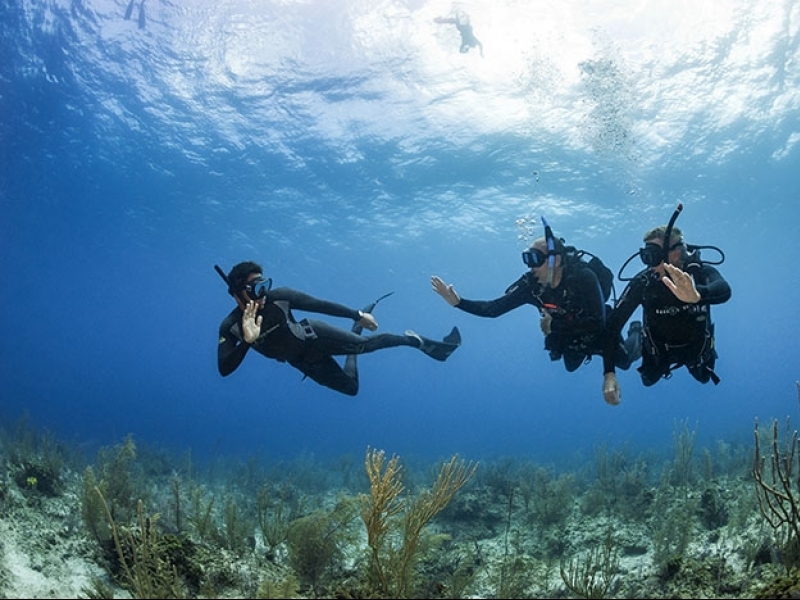 I have furthered my PADI traiining and I am a Tec 50 instructor and a master scuba instructor. One of the things I have enjoyed most is the travel. During this time I have done a lot of travel, I have been lucky enough to check out basically the whole of the East coast of Australia (from Victoria to cairns and most places between), Mt Gambier South Australia, Vanuatu (post Vila & Santo), PNG (Kavieng, Tufi, Port Morsby & Madang), Tonga, Solomons (Maravagi, Tulagi & Uepi), Truk, East Timor, Palau & Sippadarn. Now I have moved onto a role that is more shop based. You will find me answering emails, taking phone call,setting up schedules for staff, dives and students and managing the business. I do still get out to dive and have just started to do rebreather diving what has good me excited again.